Such is the migration of coaches from New Zealand to Europe that when the Six Nations kicks off this weekend half of the squads involved will have Kiwis at the helm. But for one in particular, the long journey up from Aotearoa has been essential to his development as an international coach, as he prepares to go toe-to-toe with fellow countrymen Warren Gatland and Vern Cotter. 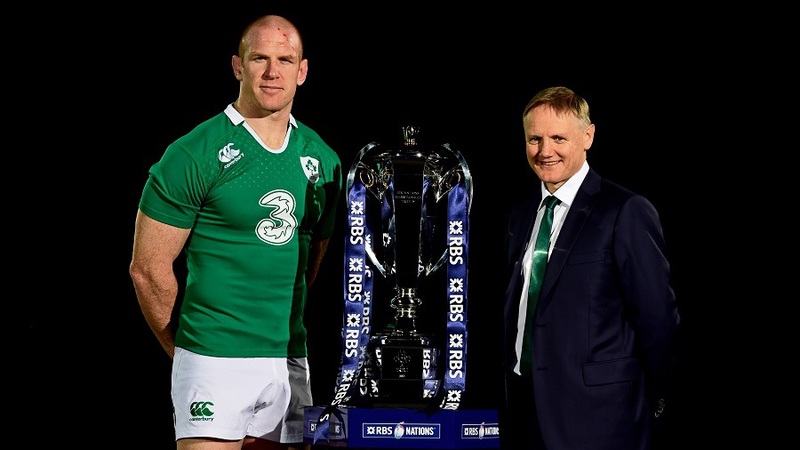 Speaking at the launch of this year's Six Nations, Joe Schmidt likened himself to a magpie in his evolution as an elite coach. Rather than sticking to a hard-headed rugby philosophy, the Ireland head coach says he has been happy to take the most eye-catching nuggets from his experiences rising up through the ranks. Now on the international stage, his nest is full of bright ideas. "I played a lot of first class rugby in New Zealand and I've coached a lot since then," Schmidt says when asked about his coaching education. "I've coached the New Zealand schoolboys, in the provincial competition in New Zealand, then Super Rugby and Top 14 teams. Everything adds to what you end up believing in and I think coaches are a bit like magpies - they take little shiny bits of whatever they've done and keep adding to the nest." While Gatland is something of an old hand on the tiller in the Wales job, and Cotter is still fresh in his new role with Scotland, Schmidt falls somewhere between the two in terms of international experience. After stints at Clermont and Leinster, the Palmerston native was appointed Ireland coach in April 2013 and now finds himself in the unusual position of being the man to beat in just his second Six Nations campaign. That championship title - although sealed in dramatic style with victory over France in the final match of the campaign - was built on lowly foundations. Twenty-three years ago, then embarking on a career as a schoolteacher, Schmidt moved to Ireland for a stint of 'overseas experience'. During that time, the young Schmidt played for and coached Mullingar RFC, while also lending a hand with his new school's first XV. What he learned in those grassroots days has stuck with him ever since. "One of the benefits of coaching at that level is you can experiment a bit without the expectations of a nation," Schmidt says. "You've got good people around you that you can bounce ideas off. I have no doubt that some of the things that I still believe in come from the time I spent at Mullingar." That ability and willingness to absorb information does not go unnoticed by his players. Writing in his autobiography, the great Brian O'Driscoll had warm words for Schmidt's attention to every little detail, which values the unglamourous side of the game as much as the try-scoring. "I've never seen a coach show such massive attention to detail, or one with such a smart rugby brain," O'Driscoll writes. "He makes little tweaks in a back-line play and all of a sudden an opposition defence opens up in front of you. He's a player's coach, because he notices what you do. If you do something seven phases before a try is scored that no one is giving you credit for, he gives you the credit." Much has been made of the technical tweaks mentioned by O'Driscoll, in particular Schmidt's apparent preference for keeping the ball in the ruck over offloads. But far from feeling constrained by hard-and-fast rules, the New Zealander's charges say they are trusted to make the right calls of their own when in the heat of battle. "You have to do what's best at the right time," says current Ireland skipper Paul O'Connell. "In the Australia game [last November's 26-23 victory] there was a lot of talk about kicking, and I think we've got some people who are very good in the air, but we can kick-chase really well too. It's about being able to manage the two. There's always space on the pitch somewhere, if you have to kick it there or run to get there. Hopefully we'll make good decisions." With this year's Six Nations providing a mouthwatering build-up to the World Cup in September and October, there are sure to be sub-plots aplenty when the tournament kicks off in Cardiff on Friday. But one thing is for certain - Schmidt and his fellow Kiwis will be looking for something much shinier than just ideas by the time this year is over. Trophies are what they really want. While the Welsh, Scottish and Irish unions are understandably happy to have Kiwi expertise in charge for the Six Nations, what does it say for the game in New Zealand when such illustrious rugby brains are flocking north for top jobs? Is it a brain drain sparked by a lack of interest in domestic competitions? Or perhaps a sign of coaches itching to try out a different environment? 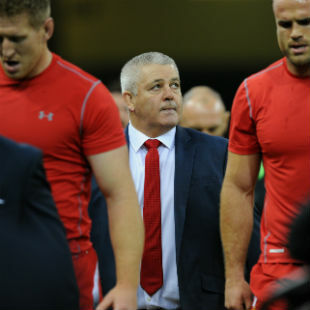 Alongside the above, according to Warren Gatland, it's also a case of economics. New Zealand, he explains, is brimming over with both top-class players and coaches, and the handful of professional clubs in their home country just cannot accommodate them all. "The old NPC [National Provincial Championship] is almost semi-pro at the moment," he says, "so if you look at New Zealand there are only really six jobs - Super Rugby's five and the All Blacks. But the world is a bigger place. There are so many more chances elsewhere." For Gatland then - like Schmidt - working abroad is all part of the learning curve, which one imagines is ultimately aiming at the All Blacks job. One thing is for sure - the NZRU certainly has some talent to choose from. The memories of last month's Charlie Hebdo shootings in Paris are still raw in France, and head coach Philippe Saint-Andre admits there will be an extra ounce of passion on show at the Stade de France on Saturday. France kick off their Six Nations campaign with a home clash against Scotland, giving the country a chance to come together after the atrocities in which 17 people lost their lives after three days of shooting. "I am definitely sure the Marseillaise against Scotland will be very emotional," Saint-Andre says. "It was a very, very tough time, but everybody stuck together and demonstrated how proud we are of our country and very proud of our different cultures. All the crowd and French public will be 150% behind the French team." 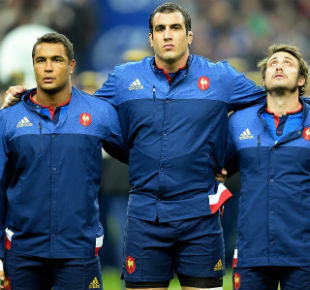 While Vern Cotter's side will be out for victory by the end of the 80 minutes, Saint-Andre can at least rest assured that the whole world of rugby will be behind his men when they belt out that anthem.